GReads! 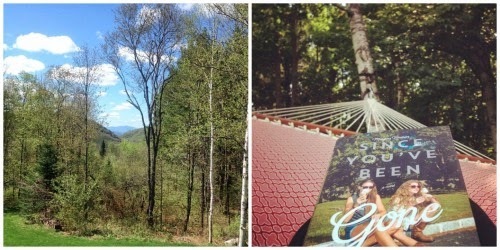 : Sweet Summertime Reads Roadtrip with Sarah! Sweet Summertime Reads Roadtrip with Sarah! Hello, and welcome back to another edition of Sweet Summertime Reads Roadtrip! Each Wednesday this summer I'll be taking you on a virtual roadtrip to various places on the map and hopefully introduce you to some new reads along the way as well. We're heading back to New England this week with Sarah from What Sarah Read. 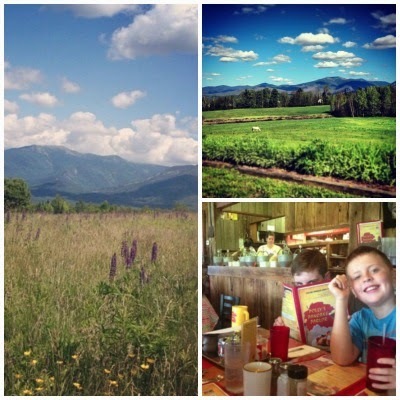 Grab your hiking boots and camera as she takes us on a tour around The North Country and the beautiful small town scenery she lives in for this week's Sweet Summertime Reads Roadtrip! I was so thrilled when I got the email from Ginger inviting me to take part in her Sweet Summertime Reads Road Trip! Thanks so much to Ginger for allowing me to be part of such a fun blog feature! Welcome to Northern New Hampshire, or what us locals like to call “The North Country”. I moved up here about two and half years ago from just outside of Boston, Massachusetts and it’s a bit of an understatement to say that the adjustment was a challenge. I still struggle with it from time to time. From the big things like being so far away from friends and family, to the smaller things like Target, Chipotle and Starbucks being at least a 90 minute drive. Over the past year though, I have started to appreciate what this part of the country has to offer and am so excited to share with you the beauty of the place I call home. The biggest highlight of Northern New Hampshire is the White Mountain National Forest; home to some of the most amazing trail hiking the East Coast has to offer. The Appalachian Trail, which starts more than 1,200 miles south in Georgia, cuts right through the White Mountains on it's way to Maine. There are 48 mountains with peaks of over 4,000 feet or more, the tallest of which is Mount Washington at 6,288 feet! 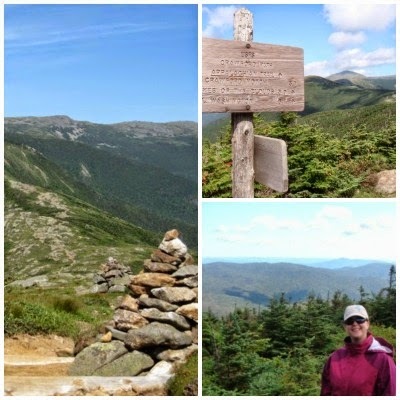 My very favorite trail is one that takes you to Mount Pierce and Mount Eisenhower with some stunning views of Mount Washington along the way. It's an almost 11 mile hike with an elevation gain of over 3,000 feet and takes about 5-6 hours to complete. It's a ton of hard work but once you get to the top and take in those amazing views it's all worth it! 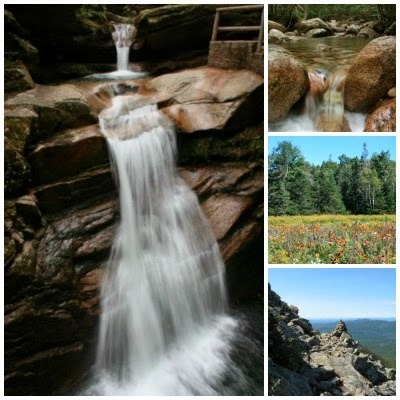 If you want to learn more about hiking in the White Mountains you can visit EveryTrail to read up on some of the most popular trails in the area. 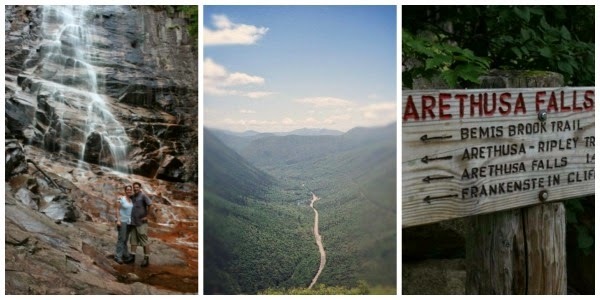 My other favorite hike is a quick one-mile hike located in Crawford Notch (pictured below in middle) to Arethusa Falls, the highest waterfall in New Hampshire. This hike is a fast, easy hike with an amazing pay-off in the end. I wish the photo below could do the falls justice but you really have to be there to see how huge it is! Now...for a quick break to take in some of the gorgeous sites I've seen on hikes over the years. I love being able to get up close to nature and hiking is the perfect way to do it. I always make sure to bring a camera! My other favorite activity during summer in Northern New Hampshire is being on the river. There are four major rivers within an hours drive from me and when the weather starts to get warm I try to get out on them as much as I can. 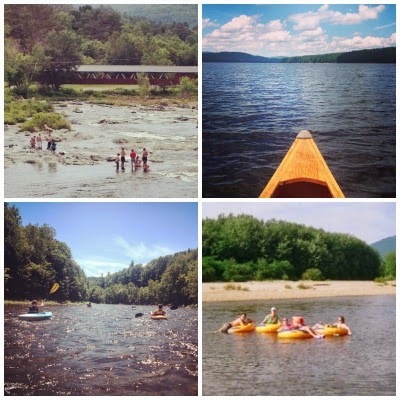 From sunbathing on the rocks of the Ammonoosuc River, canoeing on the Connecticut River, kayaking on the Pemigewasset River to tubing along the Saco River...it's always a good time! I've always felt most at home on or in the water so it makes me pretty happy to have so many choices! Scattered throughout the mountains and hills of Northern New Hampshire are some fabulous little towns that offer wonderful shopping, dining and photo opps. My two favorite towns are Littleton and Sugar Hill. The names alone make me smile...how perfectly New England! Littleton is one of the larger towns in the area and has a fabulous Main Street that includes an amazing high-end boutique, the world's longest candy counter, a delicious Thai restaurant and a killer martini bar and restaurant. Littleton also does an amazing job of putting on several events each summer; a craft beer festival, blues festival and an art festival just to name a few! If you're looking for something a little more low-key, a drive on route 117 through Sugar Hill is for you. With a population of less than 600 people and only 17 square miles large, what Sugar Hill lacks in size it makes up for in beauty! You could spend half a day driving the back roads and stopping at the endless photo opportunities. While you're there you may as well stop for breakfast at Polly's Pancake Parlor, a 75-year-old institution known for having some of the best pancakes in New Hampshire. I figured I would take this opportunity to post a photo of my fabulous nephews! Before I moved up here my commute was either spent on a crowded bus and subway or sitting in bumper-to-bumper traffic. Now I'm lucky enough to get postcard views on my way to and from work. My commute every day is a drive through the woods, down a rambling hill, through the country and finally down into town before hopping on the highway. Even though I'm surrounded by so many things to do and see, some days I just feel like staying home and relaxing and I love the fact that my own back yard is just as beautiful as the surrounding areas. Our little brown house is tucked way off in the middle of the woods on a dirt road and has the most amazing view (below left)! You'll find my husband and I out on our back deck on warm, summer nights enjoying the sunset with a glass of wine or me in the hammock reading a book. It's so nice to have such a gorgeous place to come home to every night! Well, there you have it! 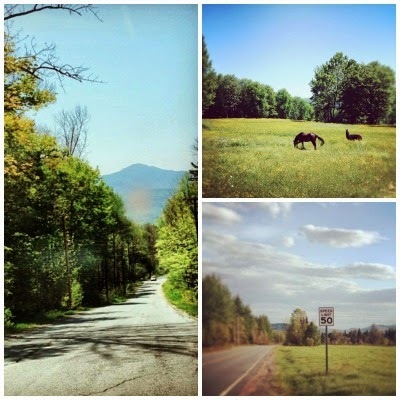 A quick whirlwind tour through Northern New Hampshire. As you can see there is SO much to do up in this remote corner of New England and I didn't even scratch the surface. There's also biking, rock climbing, camping, fishing, horseback riding, antiquing and golfing to name a few more...definitely something for everyone! If you ever feel like making a trip up, don't hesitate to contact me! But for now I'll leave you a few book suggestions that might get you in the adventurous spirit and ready for a day of hiking and exploring the White Mountains. 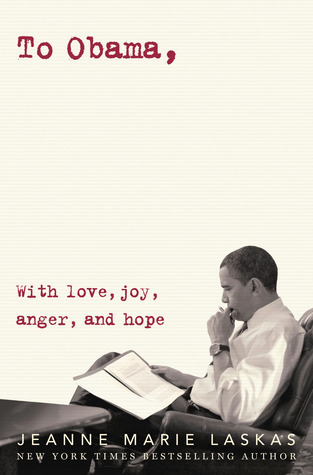 Happy reading and enjoy your summer wherever you may be! New England is already on my traveling bucket list, but after Sarah's tour I've decided I definitely need to visit during the summertime! How lucky is she to wake up to such beautiful scenery every day?! I'm not usually much of a small town girl, but Sarah has me longing for the laid back fresh air of Northern New England. Thank you Sarah for this amazing tour and for the fun book recommendations to accompany any adventurous reader! As the summer roadtrip continues, so does my giveaway! Be sure you're entered by clicking the image below to receive one of my favorite summertime YA reads. I'll pick two winners at the end of July (and yes, it's open to my international friends too!). Next week we're heading south to Florida as Jenna shows us around her sunshine state. What a cool idea! I love the post, Sarah, and can't wait to see more, Ginger! I'm ready for a hike to those amazing looking waterfalls, after a stop for some candy! Ahhh! I love this! SO GORGEOUS. I love the mountain scenes! I feel you with that missing of the big town stuff like Chipotle and Target. Trading off, I suppose! What gorgeous pictures. I'm not outdoorsy or athletic AT ALL, but now I really want to go hiking/kayaking there! Thank you for sharing, Sarah and Ginger!